An All-Purpose, water-resistant boot that is durable enough to withstand everyday use without compromising flexibility. Special Features Water resistant, recessed stitching and an extra strong PVC padded strike patch, and three hook and loop closures. Professional's Choice VenTECH™ All-Purpose Boot is rated 4.5 out of 5 by 38. Rated 5 out of 5 by ohiohorsechick from my favorite boots These boots are so awesome, especially for the price. Legs stay cooler than with fleece boots. Very durable. The white ones clean up nice when you scrub them a bit. Rated 2 out of 5 by Heather from Wouldn't purchase again I've had these for a few months and bought them to use for daily turn out. They just do not hold up and my horse is not hard on boots at all. I thought the venting would be a good idea for the desert heat, but they still get hot underneath causing sweating and hold sand which causes rubs. I liked that the straps didn't have elastic, but the velcro wears out extremely quickly which makes them fall off all the time. Also, the fit is very odd. The medium size barely fits my horse's front legs while the larges would be way too big. I wanted to love these as I use many other pro choice products, but I would not purchase these again. Rated 5 out of 5 by HorsePonyMom from Doing their job nicely I bought these to protect legs during turn out and they are doing their job well. The medium seems to fit both my very large pony and my 16h TB/warmblood cross. I have only had them for a few weeks so I cannot comment on durability, but they seem sturdy. Rated 5 out of 5 by Sophie7585 from Great price and product My old pro choice boots had finally given way but I wasn’t ready to spend $80+. I thought I’d give these a try and I truly love them. They are light which is helping as my horse can get pretty sweaty. They are super easy to clean, I just brush them off after each ride. I’ve used them every day for over 2 weeks, so if they keep lasting, these will be my new go to boots for flat and jumping. Rated 4 out of 5 by IrishMelody from Quality multiuse boots I'm a little bummed these only come in 2 sizes, I ordered the regular size, the tag on them says M but they are quite large. That being said they work perfect as hind boots for my 15h Mustang who has thick legs. We ride in all kinds of sand and these don't get a lot of debris under them which is a plus, we have had other boots trap grit against her leg and rub and it's very annoying. I have ventech SMBs that breath well, these are the same material and I expect the same performance. The strike pad feels like double thick squish, very good for my girl who will clonk herself schooling XC or when she gets doofy. They don't work as front boots on the 16.something hand appy I also ride, too tall, didn't try them on his hinds. 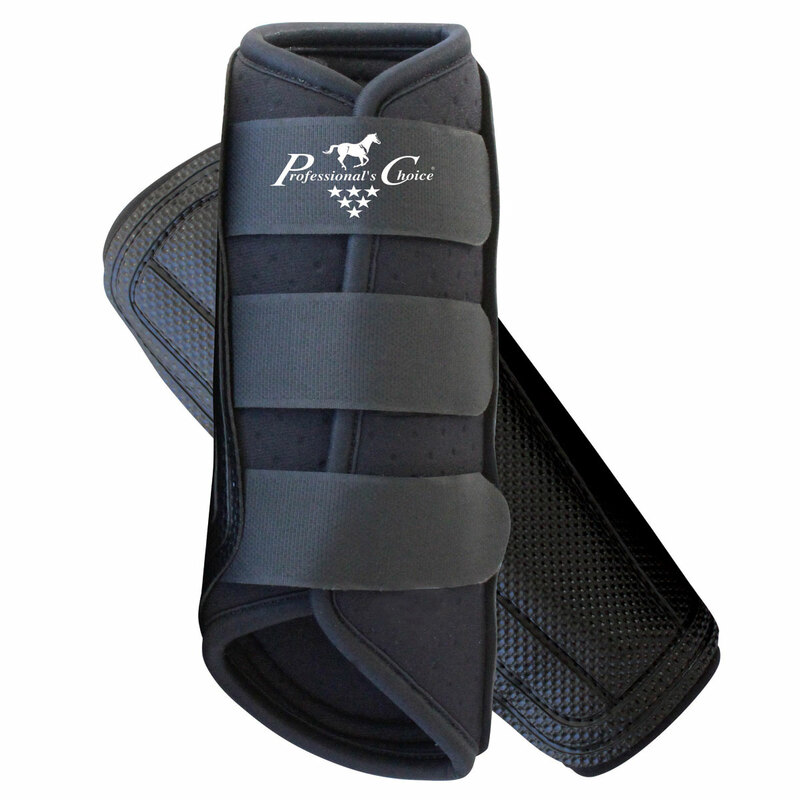 Rated 5 out of 5 by DragonflyHollow from Great boot for warm weather I bought these boots for my 4 yr old warmblood to protect an injured leg during turnout. I’ve only used them for a couple of weeks but so far I really like them. They’ve stood up to some serious romping and his legs are much cooler then other boots when I take them off. Rated 5 out of 5 by litchfire from Light weight protection Seem to be working for my horse - easy to put on and breathable after work out his legs are not damp and hot. Have only used them a few times will see how they hold up. So far so good, doesn't interfere with moving. 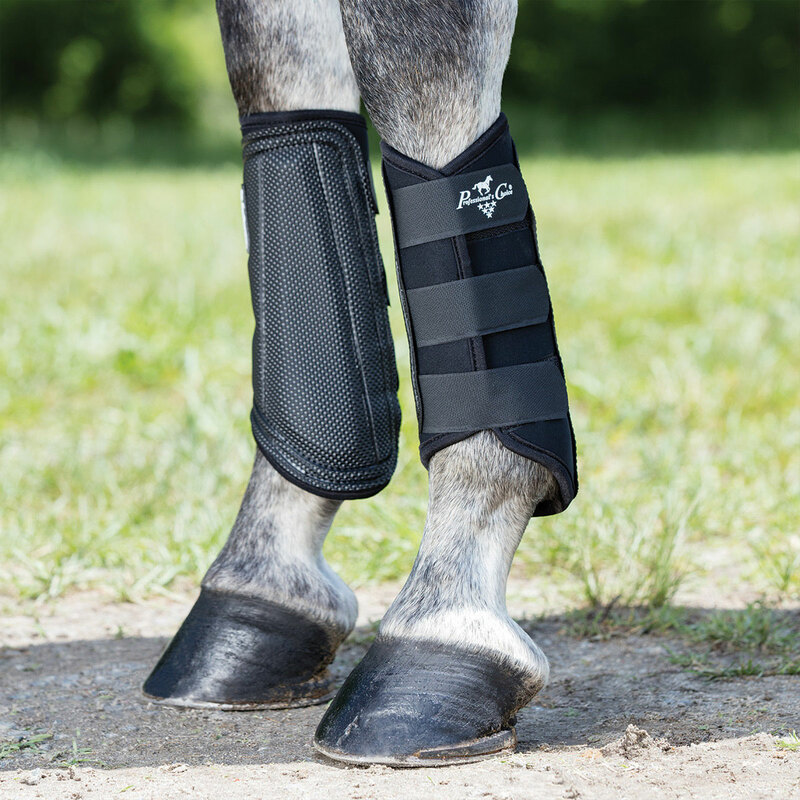 Rated 5 out of 5 by ohminsun from Good protection These are sturdy and look like they will offer more protection for turnout than the two-strap Woof boots that my mare previously had (the Woofs got shredded because they don't really have binding). The Velcro on these boots is very strong, as well. They are a little long for my fine-boned 16hh mare but I don't mind because they are for turnout only. I ordered mediums for the fronts and larges for the hinds. Rated 5 out of 5 by clk1 from Perfect everyday boot I bought these as a back up to stick in my trailer, and I put another pair in there and am using these every day. 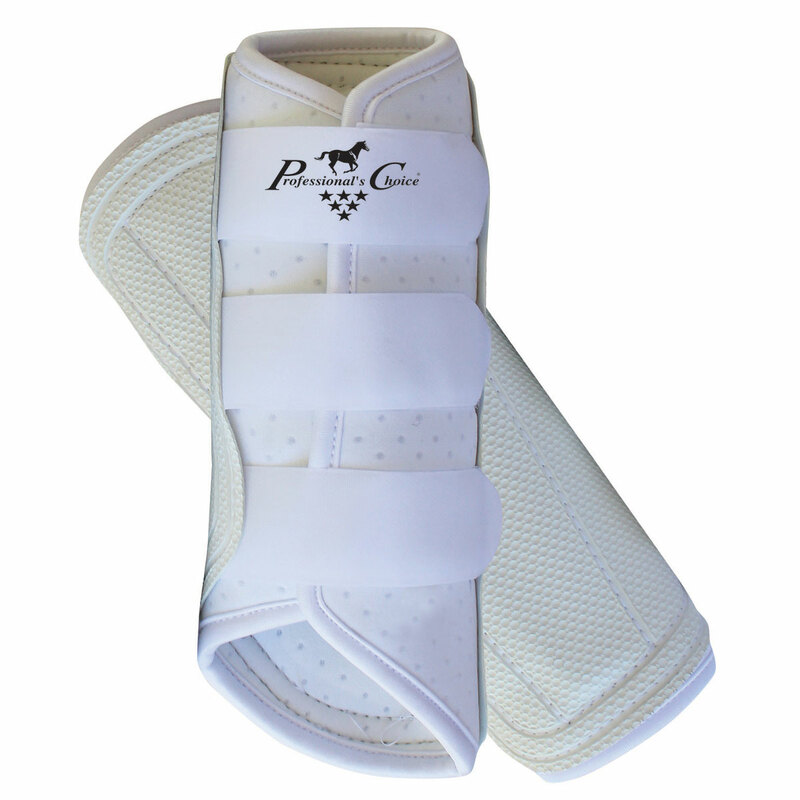 They are light flexible, easy on and easy off and perfect for flatting and SJ. Rated 5 out of 5 by lydr from Lightweight affordable splint boot The boot is lightweight, but still protects the legs which is exactly what I wanted. It fits my 15.3 thoroughbred fine and the price is great!